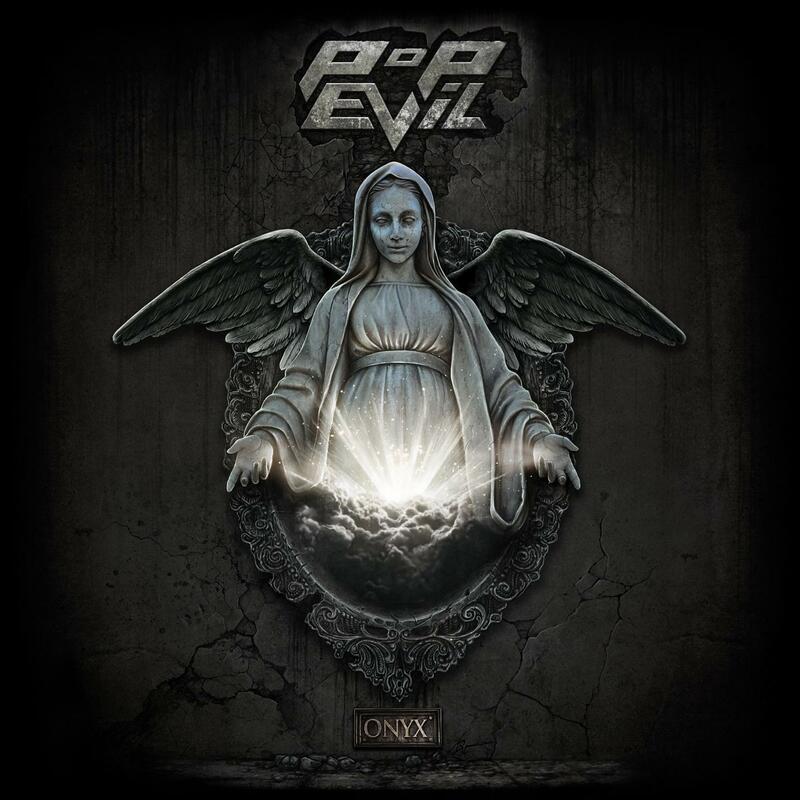 Following a European tour opening for hard-rock heavyweights Five Finger Death Punch, the old-school rock machine that is Pop Evil have announced further details on their debut album ‘Onyx’. Released on 19th May, through Eleven Seven Music, (home to Five Finger Death Punch, Motley Crüe, HELLYEAH, Papa Roach and Escape The Fate) following a deal between the label and Entertainment One Music, the European extended version of the album will include 3 additional tracks while the deluxe version features an extra 5. Produced by Johnny K (Disturbed, 3 Doors Down, Megadeth), Onyx is a swaggering, fistpumping, ballbusting ride through American rock. The grandiose melody of the ‘70s, the danger of the ‘80s, the emotion of the ‘90s and the loudest of modern riffs all have a home in Pop Evil, who fashion a fresh sound that looks to the future through the prism of rock’s past. Onyx is now available to Pre-order here, with a free download of ‘Trenches’ for everyone that pre-orders! At home in the U.S the band have been building on their already impressive career having racked up 2 number 1 singles on America’s Rock Radio, 6 singles in the top 10 and 850,000 digital single sales, while playing over 1,000 shows on tours with heavy-hitters like Five Finger Death Punch, Stone Sour, Three Days Grace, Papa Roach, Theory of a Deadman, Judas Priest, Black Label Society & Black Stone Cherry.